Thousands of spectators, singers and dancers gather each year in Rapid City, South Dakota to attend the Black Hills Pow Wow. Observing some of the Lakota culture's oldest traditions, the Black Hills Pow Wow combines a mix of fine arts, family fun and competition at the Rushmore Plaza Civic Center. Overview: Over the course of the three-day event, thousands of people enter the doors of the arena. Inside, they find the finest dancers, drum groups, singers and commentary competing for cash prizes. 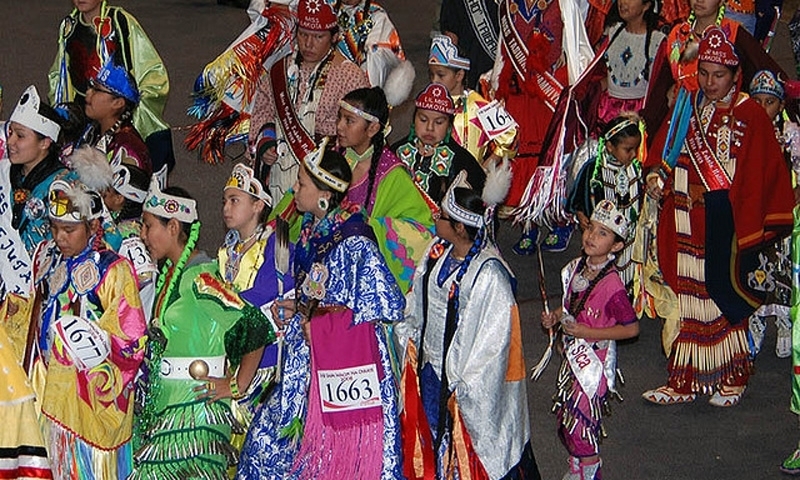 With hundreds of dancers from throughout the northern plains and Canada, this cultural celebration is an awesome gathering rich in Native American art & pageantry. Experience the proud heritage of the Native Americans. This is a cultural celebration meant to be shared. The powwow welcomes everyone regardless of religion or race. Details: Come experience Native American fine art and authentic handmade crafts at the Art Market or witness traditional hand-game tournaments. Participants and spectators all leave feeling more enrichment in their lives. More information can be found on the Black Hills Pow Wow website.